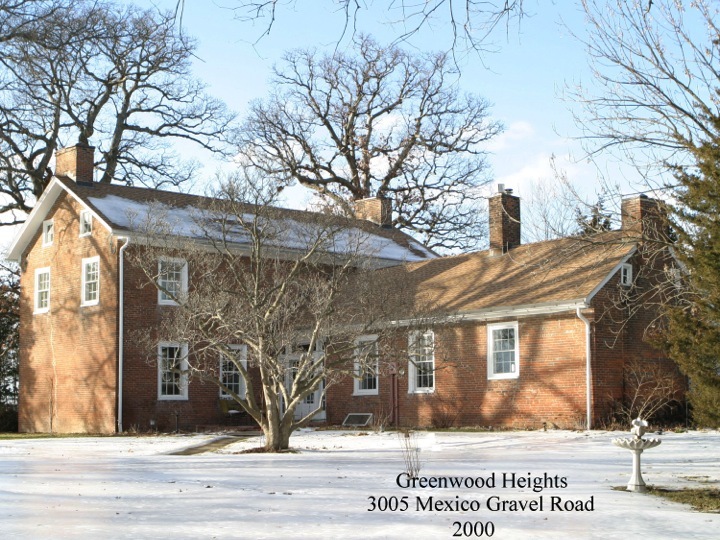 Greenwood Heights, 1827-1836, at 3005 Mexico Gravel Road, is one of Columbia’s oldest homes. It was named to Columbia’s Most Notable Properties in 2000. Photo credit: FitzImages Photography/City of Columbia HPC. Built in around 1835, this home called Greenwood Heights, was featured in the February/March 2007 issue of Columbia Home & Lifestyle in an article written by Jim Muench with photos by Peter Anger. It was named to the National Register of Historic Places on Jan. 15, 1979, according to the National Register of Historic Places Inventory — Nomination Form. It won its place on the Register as an example of the earliest remaining homes in Columbia and Boone County, according to the form. The form includes background on the home and property as well as 10 photographs. The home was placed on Columbia’s Notable Properties list in 2000. The Federal style, red brick home was built by Walter Raleigh Lenoir from Lenoir, North Carolina. Lenoir was named for Walter’s father, William Lenoir, who fought at the Revolutionary War battle of Kings Mountain. Walter Raleigh Lenoir, who died in 1943, and his wife Sarah Evalina Bouchelle, until 1877. 1933 — Mr. and Mrs. Warren W. Fuqua. The property was now only 144 acres. March 1974 — Gorman L. Williams, the owner in 1979 when the home was named to the National Register. 1989 — Sold to the Missouri Department of Natural Resources, which repaired the home. 1990 — David B. and Genie Banks Rogers.